Explore the thriving Denver arts and culture scene, from world-class museums to unique art districts. Check out current and upcoming gallery showings. Explore the renovated Union Station, a transportation hub, historic landmark and vibrant space for staying, eating, gathering and shopping. Find the best music and concert venues that are home to Denver. From top music venues to local neighborhood spots, you are sure to find your favorite spot. 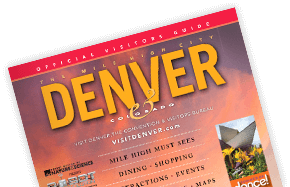 Whether you have a few hours, a few days or a week in The Mile High City, here are some suggested itineraries and trips for visitors. Kids are often tough to please – but they’ll be grinning from ear to ear whenever they’re in The Mile High City! No need to venture far with great shopping in and near downtown Denver. Cherry Creek, 16th St. Mall, Larimer Square and Antique Row are just a few options.